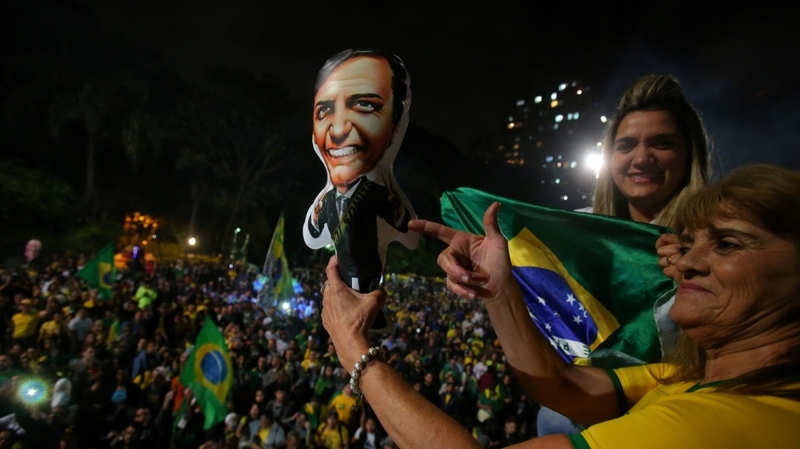 Home Uncategorized Where is Brazil headed under Bolsonaro? Far-right firebrand Jair Bolsonaro will be given the keys to Brazil‘s presidential palace on January 1st. The 63-year-old far-right former army captain, who vanquished rival Fernando Haddad of the leftist Workers’ Party (PT) in a runoff vote on Sunday, has pledged to radically reform Latin America’s largest country. An outspoken advocate of Brazil’s 1964-1985 military dictatorship, Bolsonaro’s rise from a fringe Rio de Janeiro congressman to president-elect has stunned observers, many of whom until very recently had scoffed at his chances of winning Brazil’s highest office. For years, he was mostly known, for making offensive comments about LGBT people, women and minorities. But amid widespread anger over graft scandals, economic downturn and rising violence, the former army captain managed to position himself as the outsider candidate in an election defined by anti-establishment sentiment. Bolsonaro’s victory is expected to make a profound shift for South America’s largest economy and the region. But it won’t be an easy task: economic recovery is fragile and opposition to his government is strong. Critics say that his government plan, entitled “The Path to Prosperity” is vague and lacks concrete proposals. “He has promised his voters a radical change that perhaps he won’t be capable to fulfil,” said Mauricio Santoro, a political scientist and professor of international relations at Rio de Janeiro State University. With just weeks left until he assumes office, Al Jazeera looks at some of the main objectives Bolsonaro may pursue once inside the Palacio do Planalto. Bolsonaro plans to stuff his cabinet with military men. He has spoken of reducing the number of Brazil’s ministries and of nominating generals to briefs such as defence and transport. In legislative elections on October 7, Bolsonaro’s Social Liberty Party swelled from eight to 52 politicians in the lower house, making it the second largest after the PT. The overall profile of congress is conservative, with powerful agricultural, Evangelical Christian and public security caucuses whose politicians backed Bolsonaro for president. Bolsonaro has pledged to avoid the typical pork barrel patronage way of doing politics that has characterised Brazil’s congress, but experts remain unconvinced. Brazil’s congress wields immense power, and since 2016 has decided the fate of two presidents: to impeach Dilma Rousseff for an accounting manoeuvre and to shield Michel Temer from corruption charges. Bolsonaro has pledged to eradicate corruption from public life – a bold promise – after years of graft scandals that have enraged the electorate and tarnished large swaths of Brazil’s political class. Scores of Brazilian politicians and business leaders have been swept up in a major corruption probe known as Lava Jato, or Car Wash, and other interlocking investigations since 2014. Among those implicated in the raking probe was former Brazilian President Luiz Inacio “Lula” da Silva, who is currently serving a 12-year term in jail. Lula, the PT’s original candidate for the presidential election, was forced to give way to Haddad after being barred from running in the poll by Brazil’s top electoral court. Bolsonaro, who said last week that Lula should “rot in jail”, has also promised to purge Brazil of left-wing “criminals” and poured scorn on the PT as the epicentre of Brazil’s corruption problems. “Either they leave or go to jail … these red outlaws will be banished from our homeland,” Bolsonaro said on October 21. “It will be a cleansing never seen in Brazilian society,” he added. On Thursday, “Car Wash” leading judge Sergio Moro – who sentenced Lula to nearly 10 years in prison last year – accepted a position in the Bolsonaro government to be justice minister with an expansive role in fighting corruption. The move was celebrated by Bolsonaro supporters but rebuked by PT politicians, who have long accused Moro of bias and judicial overreach, especially after Bolsonaro’s vice General Mourao revealed that Moro had been invited to the government while still in campaign. “It is of an astonishing gravity the revelation of Mourao. It’s testimonial evidence of the criminal and perverse relationship between Car Wash and Bolsonaro,” PT congressman Paulo Pimenta Tweeted. 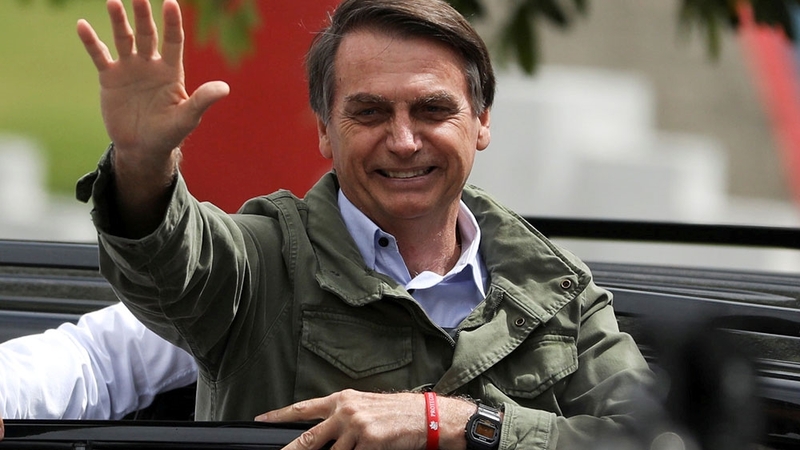 But despite Bolsonaro’s forceful rhetoric, his strategy in office may amount to little more than “allowing the sprawling Car Wash investigation to run”, Richard Lapper, an associate fellow at the UK-based Chatham House institute of international affairs and independent analyst on Latin American politics, told Al Jazeera. “Simply because of the result of the election a lot of the congressman and governors who have lost the immunity [from prosecution] they enjoyed as a result of holding elected office could now become victims of legal process with the federal police and judiciary pursuing them,” Lapper said. “He [Bolsonaro] doesn’t actually have to do very much,” he added. Incumbent politicians have immunity from prosecution for most criminal offences but the biggest shake-up of Brazil’s 594-member Congress for more than three decades during this election has left a number of politicians out of office and exposed to possible graft charges. Brazil saw more than 63,000 murders last year accordingto the Brazilian Forum of Public Security, and Bolsonaro’s vows to crackdown on rising crime and a record homicide rate were at the front and centre of his campaign for office. He has pledged to alleviate the crisis by relaxing laws on gun ownership, giving police officers “carte blanche” to kill criminal suspect and lowering the age of criminal responsibility to 16. He will also look to centralise responsibility for public security, shifting power away from Brazil’s 27 separate state-level legislatures towards central government, Thiago de Aragao, director at the Brasilia-based political consultancy Arko Advice, told Al Jazeera. “The administration of the police forces is very local, [but] Bolsonaro wants to bring more power for the union [federal government] to interfere in public security,” Aragao said. “It definitely represents a major shift in relation to what we have seen in public security until now,” he added. All the same, experts acknowledge that Bolsonaro’s hardline discourse of defending police violence will likely lead to more killings. In 2017, police were responsible for more than 5000 killings nationwide. “This vision of the enemy to be exterminated, no one paid much attention before because he was so irrelevant in the lower house,” said Bruno Paes Manso, a researcher at the Nucleus of Violence Studies at the University of Sao Paulo. On the foreign policy front, Brazil’s relationship with China, its largest trade partner, appears likely to be in Bolsonaro’s crosshairs after his repeated warnings about aspects of Beijing’s investment in the country. Bolsonaro has been very critical of China, whom he has accused in the past of trying to “buy” Brazil. Earlier this year, while still a candidate, he also visited Taiwan while on a trip to Asia, ruffling feathers in Beijing. Luiz Philippe de Orleans e Braganca, a heir to the Portuguese Imperial crown and an adviser to Bolsonaro, also tipped to possibly lead the ministry of foreign affairs, meanwhile, has warned the new administration will reevaluate the terms of Brazil’s membership of Mercosur, a regional economic and political bloc also comprised of Argentina, Paraguay, and Uruguay. “Today, Mercosur is a hindrance to free trade,” Braganca told Bloomberg on October 17, three days before Bolsonaro said he was in favour of “bilateralism where possible”. Proposed finance minister Paulo Guedes also told reporters Sunday night that the South American trading block Mercosul “would not be a priority”. While seemingly cautious about Beijing and Brazil’s regional relationships, Bolsonaro has expressed a strong interest in working closely with Washington, DC and US President Donald Trump. Mirroring a pivot made by the US in May, Bolsonaro has said he will shift the Brazilian embassy in Israel from Tel Aviv to Jerusalem, according to Brazilian newspaper Globo. He also saidhe will close a Palestinian embassy in the capital, Brasilia, on the grounds that “Palestine is not a country”. Following a congratulatory call from Trump on Sunday, White House Press Secretary Sarah Sanders said the two men had “expressed a strong commitment to work side by side to improve the lives of the people of the United States and Brazil, and as regional leaders of the Americas”. According to Lapper, this is likely to be the “most pro-American administration in Latin America” for decades. “But the question is what Brazil gets out of that … because the big problem with being pro-American and following Trump’s line on everything is that it potentially brings Brazil into conflict with China,” Lapper said. “[And] given the fact that they are in a bit of a bind economically, they don’t want to be provoking instability,” he added, referring to Brazil’s stagnant economy, in which millions of people are without work. Bolsonaro’s first three trips abroad will be to Chile, United States and Israel his chosen chief of staff Onyx Lorenzoni confirmed on Monday. Brazil is barely crawling out of its worst economic recession on record. While unemployment has fallen slightly in recent months, it still remains stubbornly high at more than 12 percent with economists seeing no quick fix for a recovery. Bolsonaro has vowed to kick-start Brazil’s ailing economy by privatising state enterprises, reforming the country’s bloated pension system and amending the national tax system. To that end he said he will appoint Paulo Guedes, an ultra-liberal economist and banker, trained at the University of Chicago, to head his planned economic ministry. Guedes hopes to enact a sweeping privatisation programme of state owned assets. Brazil stocks jumped to a record high Monday and the currency, the real, also saw gains. It is not yet clear, however, what form the privatisation element of the pair’s economic plans may take. Fearing a Chinese buy-up of Brazilian assets, Bolsonaro has recently rowed back on Guedes’s calls for a full privatisation of state-run oil company Petrobras and the electric utilities company Eletrobras. “We know that privatisation is a general desire of the political members of his [Bolsonaro’s] team, mainly of the economic members,” Aragao said. “[But] the execution of this desire is something more complicated,” he added. Bolsanaro has also vowed to shrink the size of the federal government by cutting the number of ministries in Brasilia from 29 to 15. Environmentalists have expressed great concern for the preservation of the Amazon during Bolsonaro’s term in office. Bolsonaro had previously promised to take Brazil out of the Paris Climate Agreement – following the example of United States President Donald Trump – but apparently backtracked last week. Another feature of his presidential programme may be deregulation of existing environmental policy. He has spoken out in favour of the removal of restrictions on mining and other commercial activities on lands currently demarcated as indigenous reserves, many of which are located in Brazilian sections of the Amazon. The president-elect is hostile to indigenous interests and said at an event in Rio de Janeiro last year that he would not give “one centimetre” of demarcated land. “He foments hatred and violence against indigenous peoples with a discourse claiming that we are an obstacle for development, ignoring our contributions to environmental balance,” said Dinama Tuxa, Coordinator of Brazil’s Association of Indigenous Peoples (APIB). About 13 percent of Brazil’s national territory is Indigenous lands, 98 percent of which is in the Amazon, considered a crucial buffer against the impacts of climate change. A close ally of the powerful congressional farming lobby, Bolsonaro will also combine the environment ministry with the agriculture ministry, his chosen chief of staff Onyx Lorenzoni said on Monday. “This is [going to be] a very pro Agro-business administration,” Aragao said. “Bolsonaro wants to create a new federal structure for agriculture and cattle production,” he added. But the proposed move has left members of Brazil’s agricultural caucus worried, including leader of the Agricultural Parliamentary Front congresswoman Tereza Cristina, who pointed out that foreign markets are increasingly concerned with environmental standards.